Two years ago, Lincolnshire was tipped to become a unitary authority with the Government pledging to plough in millions of pounds. However the plans were scuppered when several councils indicated they were against the idea and, in particular, the role of a mayor. Coun Leyland added that ELDC are combating the issue by ‘working well’ with West Lindsey District Council to boost tourism. He said: “Devolution is dead in the water, certainly in the short term. 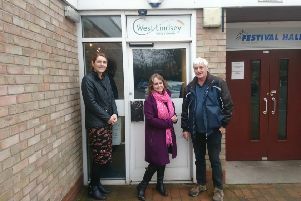 He added: “We are working well with West Lindsey, sharing information and jointly promoting websites which are already making a huge difference to tourism in the Lincolnshire Wolds.